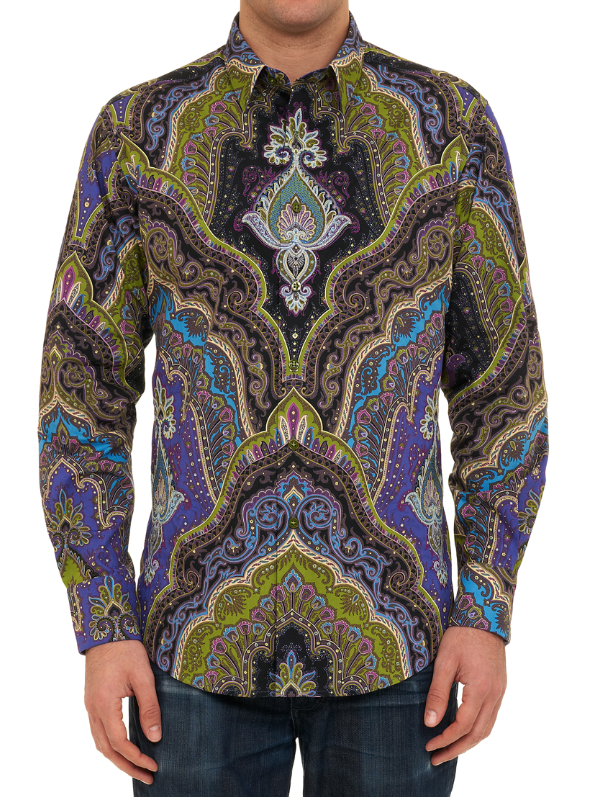 The impeccable detailing of our Robert Graham sport shirts are always the center of attention at Finns on Broadway. Come in and have a look. 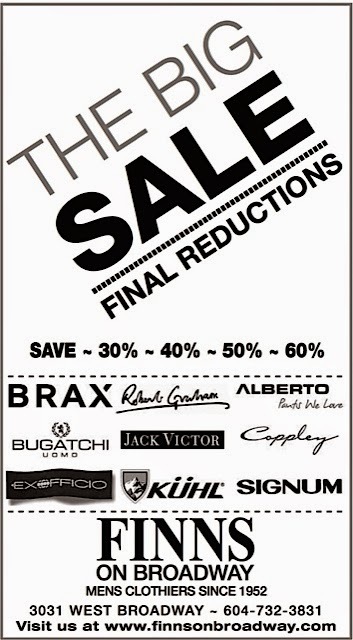 FINAL REDUCTIONS ... Last chance to save on all our spring and summer mens clothing. We hope to see you. Quality that suits your style. 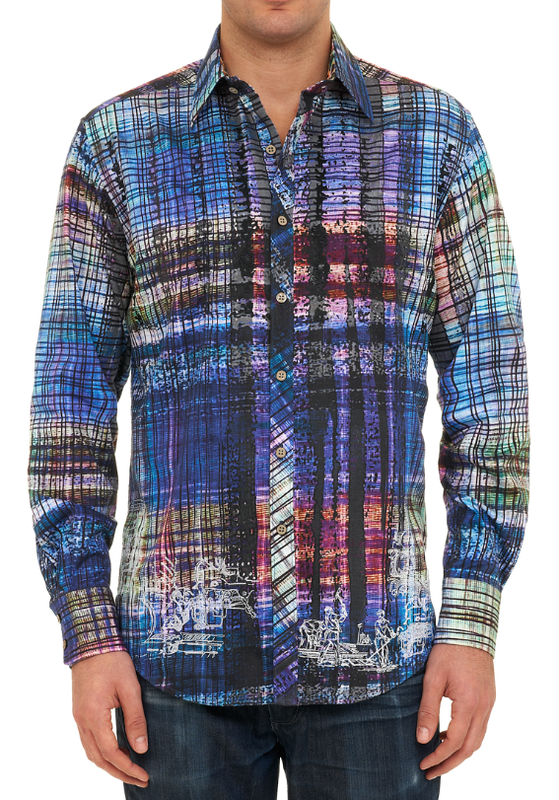 New Fall 2014 Robert Graham sport shirts are now arriving at Finns on Broadway. Vancouver's best selection. 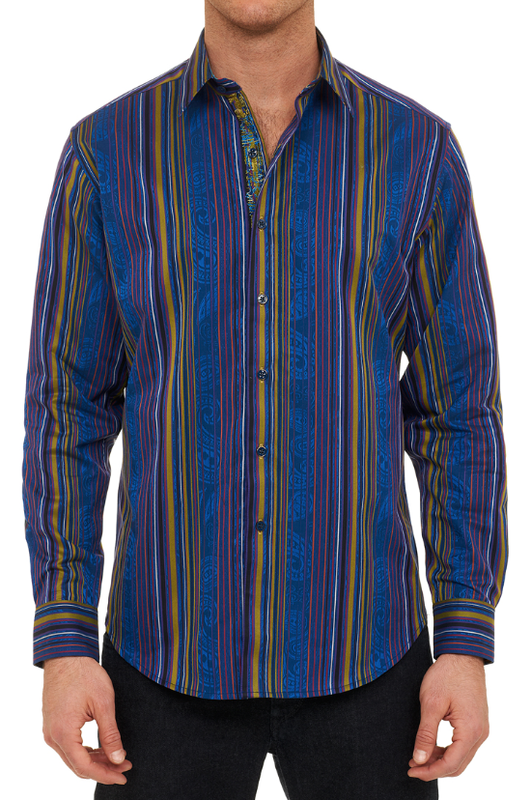 No doubt about it, Robert Graham sport shirts do impress. The new Fall 2014 collection is arriving daily at Finns on Broadway.